A $250,000 gift from Maxwell School alumnus James Ajello ’76 MPA will create a new professorship in energy and environmental policy while supporting interdisciplinary research projects in that field. The gift, with an initial term of five years, also funds opportunities—both training and research—for graduate and undergraduate students. Peter Wilcoxen, professor of public administration and international affairs, Laura J. and L. Douglas Meredith Professor for Teaching Excellence and director of Maxwell’s Center for Environmental Policy and Administration (CEPA), will serve as the inaugural Ajello Professor in Energy and Environmental Policy. 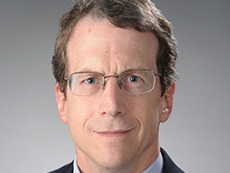 Wilcoxen, also a nonresident senior fellow at the Brookings Institution, studies the effect of environmental and energy policies on economic growth, international trade and the performance of individual industries. He has published more than 70 papers and has co-authored books on the design of an international policy to control climate change, on the design and construction of large-scale economic models and on using environmental taxes as part of fiscal reform in the United States. As Ajello Professor, Wilcoxen will oversee an ambitious array of research projects and opportunities for student involvement in CEPA. Funded initiatives will include interdisciplinary pilot projects connecting Maxwell School faculty with colleagues from across Syracuse University, thus linking Maxwell-based expertise in energy and environmental economics, environmental policy and sustainability, climate science, behavioral economics, data integration and analytics, geographic information systems and other areas with University-based expertise in such fields as electricity generation and distribution, renewable energy, cybersecurity, information technology and regulatory law, among many others. CEPA will assemble an advisory group of government and industry experts, providing real-world input to Maxwell on energy and environmental issues. These committed experts will provide input and help shape the center’s priorities for energy and environmental research while advising Wilcoxen on skills most needed by students interested in working in the sector. 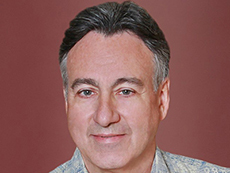 The donor, James Ajello, is a retired energy industry executive who, until last year, served as executive vice president and chief financial officer of Hawaiian Electric Industries (HEI). He previously served as chairman of the U.S. Department of Energy Environmental Management Advisory Board; senior vice president of business development at Reliant Energy (2000-09); and in various positions, including managing director for energy and natural resources, at UBS Financial Services (1984-98). Based in Houston, Ajello now serves on the board of directors of American Savings Bank, a subsidiary of HEI, and is also on the Board of Crius Energy in Toronto. He has served for many years as a member of the board of trustees of Hawaii Pacific University. Ajello says his gift ties back directly to work he had done as a Maxwell student. “About 40 years ago I did research in Harry Lambright’s class on this very topic—multidisciplinary approaches to energy and environmental issues. As I look back on my career,” he says, “virtually every job I’ve had since Maxwell, in the public and private sectors, has immersed me in this very interesting topic.